Yummy! They look delicious y qué viva Mexico 😉 !! We’re having a little get together and I think these would be PERFECT for the menu…now if I can just find the time since we have our first baseball jamboree that day… 🙂 Hope you had a wonderful weekend, Geni, and that the bake sale went well. These cookies sound so good. Especially with a margarita, because well, what isn’t better with a margarita? Well, yeah I guess the holiday is just another reason to drink but I don’t think we’re complaining, right? 😉 haha these cookies sound delicious!! So much fun on Saturday, by the way. Must do it again soon! Oh, I love…very, very much!!!! These rule. I’m breaking out the bastardized Mexican recipes tomorrow wish me luck. Oh and send me a cookie. Note to self: MUST get limes on the way back home today! 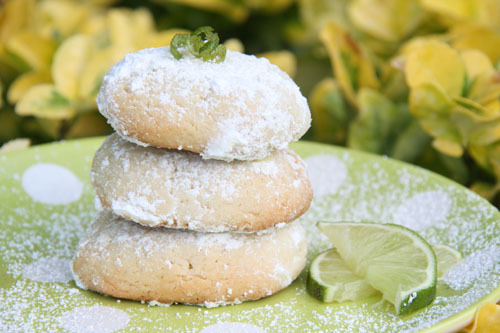 These lime cookies look wonderful. You just added spice to my next girls night! Pinning it! And I am ready for Cinco de Mayo! Thanks for sharing the recipe and hope you are having a great week…by the way, how was the Sat event? These look very flavourful yum! Love these! They sound amazing. Any day I can have chips and salsa and a margarita and not feel guilty (because it’s a “holiday”) is a good day for me! Booze and cookies? Yum! Yes, please! Also I would like to apologise – it appears my spam was working a little too much and I have just checked, I have spam at every post and that includes your comments for a bizarre reason – sincerest apologies my friend! they are perfection. Love the flavor of lime in my sweets! 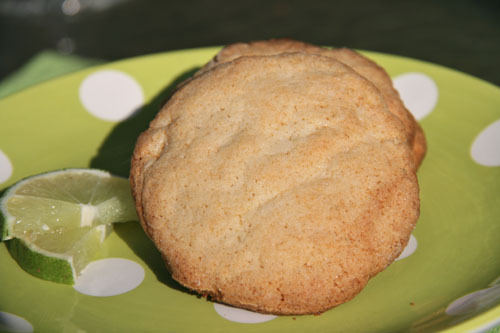 I love lime cookies. Yours look so perfect and delicious. And that margarita! Do you deliver? Ha ha! Love these cookies, Geni! And it’s such a fun twist on traditional lemon sugar cookies. oh my gosh!! The pictures here are absolutely so tempting!!!! What a perfect recipe for Cinco de Mayo!!! 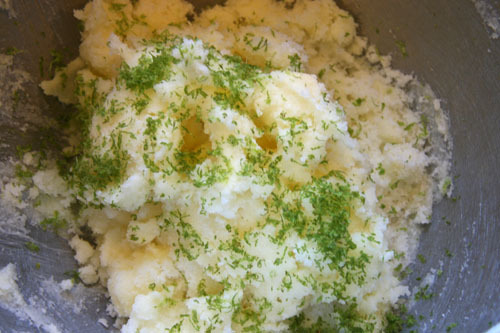 And yes, I do agree that both lime and lemon are potent in bringing flavour to most recipes!! Totally craving for these now! I always have a crisper drawer full of lemons and limes. These cookies sound perfect for not only cinco de mayo but any day. Now I only need the spicy enchiladas and that margarita. Thanks for this lovely recipe – I have a bowl of limes that are a callin’ and these sound perfect! 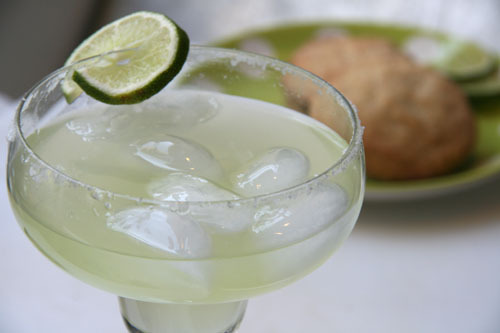 Look at all that beautiful lime zest….those cookies have just gotta be terrific, and the margarita, too! Sugar and lime sounds like summer to me. Those cookies need to be the finish of a dinner of gazpacho and margaritas. Outside, with tiki torches.